Unwanted guests are never fun, especially when you can’t ask them to leave. Luckily, Hoopers Creek pest control companies have no problem kicking them out. Whether there’s a rodent in your basement or insects in the attic, call your local Hoopers Creek exterminator to take care of them — do not try to wrangle them out yourself! 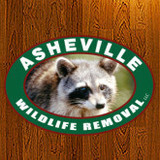 Not sure which type of home pest control service in Hoopers Creek, NC can tackle your issue? Read profiles and ask about their past experiences to get a good idea. 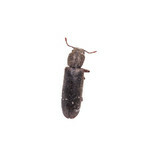 When you're dealing with a pest control problem, you want to get the vermin out fast. 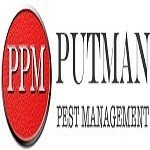 Putman Pest Management is a locally owned and operated company that fixes and prevents pest infestations. We use the Integrated Pest Management philosophy, which emphasizes an ecosystem-based approach that's effective and healthy for your family and for the environment. Although all of the products we use have been rated safe for humans and animals, we offer a special line of eco-friendly products for customers that want to avoid chemicals. We're committed to fast, quality service that leaves customers happy and eager to recommend us to colleagues, friends, and family. 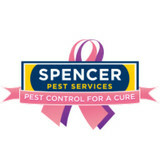 We offer pest control services for commercial, residential, and construction, and we're fully licensed and insured. Give us a call at (864) 292-1919 for a free estimate. When you are inundated with unexpected pests, trust a company who is ready to provide safe, efficient, and fast solutions. The team of Greenville pest control experts at Strike Force Mosquito & Tick proudly serves homeowners, business owners, and events throughout North Carolina and South Carolina. All work is backed by a 100% service guarantee and each of our team members is highly-trained and ready to take on your pest problem. Whether you are dealing with flies, mosquitos, ticks, fleas, cockroaches, or other uninvited quests, the experts at Strike Force Mosquito & Tick can help control the current issue and keep pests from returning in the future. To learn more about their services, schedule your consultation today! Call Strike Force Mosquito & Tick to get started.